As we sit around the Seder table and read about the four sons of the Haggadah, the questions that are raised are profound and challenging. The four sons of the Haggadah are archetypes, and the responses of the Haggadah to these sons are revelatory. But what if the four sons of the future could be different? What if we could use breakthroughs in medical technology to address the challenges of our genetic heritage? What if cloning were a real option? What about new innovations in IVF that draw genetic material from three parents to create one child? What if there were real choices we could make about our children’s genetic makeup that could affect every aspect of their being? What if knowing more about our own DNA could help us respond to the questions and challenges of our lives here and now? How should we respond to these serious questions? What are the ethical ramifications of these possibilities and how should the Jewish community contend with these real and pressing issues? 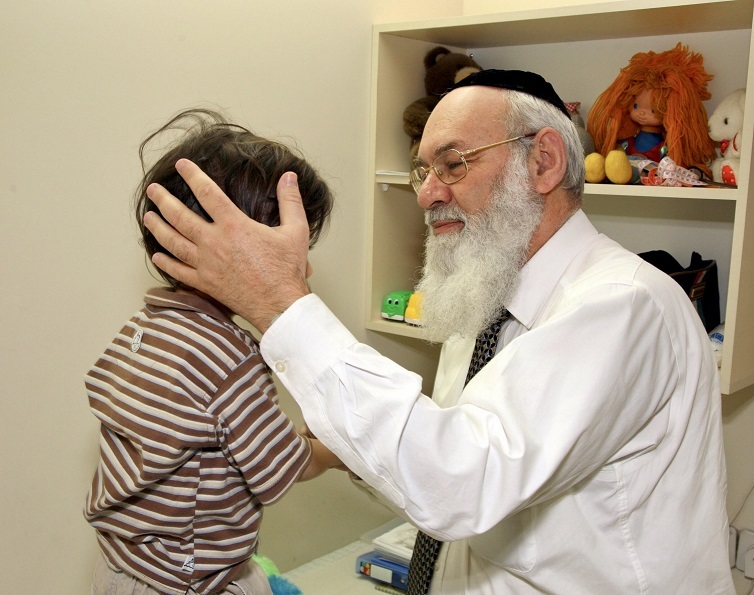 Prof Rabbi Avraham Steinberg, world bioethics expert and director of Shaare Zedek Medical Center’s Medical Ethics Unit is uniquely positioned to respond to the questions raised by these fundamental and revolutionary medical breakthroughs. Prof Rabbi Steinberg will visit Australia in September this year as a guest of the Australian Friends of Shaare Zedek Inc. and will deliver a fascinating series of lectures on a wide range of medical ethical issues to our local community. He will speak at a public event on Sunday 8th September and will open Melbourne’s Royal Children’s Hospital’s 11th Bioethics Conference. Prof Rabbi Steinberg addresses issues including stem cell research, cloning, pre-implantation genetic diagnoses (PGD), gender assignment, end-of-life issues, abortions, the definitions of mother/father/human being and modern genetics and halacha amongst other important issues related to complex and emerging medical innovations. Prof Rabbi Steinberg served as a Major in the Israeli Air Force, is a Paediatric Neurologist, ordained Rabbi and a world expert bioethicist who in 1999 was awarded the Israel Prize for his ground-breaking work as author of the Encyclopaedia of Jewish Medical Ethics. He has served as an advisor on medical ethics to the Knesset and the Chief Rabbinate of Israel and has chaired numerous committees on bioethical issues including the Israeli National Committee for evaluation of living organ donors, the National Advisory Committee to the Minister of Health for Enacting a Law Concerning the Terminally-ill, the National Ethics Committee in accordance with the Dying Patient Act – 2005, the National Advisory Committee for Amendments of the Anatomy and Pathology Act, and the National Forum Concerning Organ Donations in Israel. He also has been involved in halachic aspects of modern medical issues with many prominent Rabbinic authorities. In 2016, Prof Rabbi Steinberg was appointed by Pope Francis to the Pontifical Academy of Life in the Vatican to advise on bioethical issues. For more information regarding Prof Rabbi Steinberg’s visit to Australia, please subscribe to our mailing list at www.shaarezedek.org.au for updates regarding this important tour.